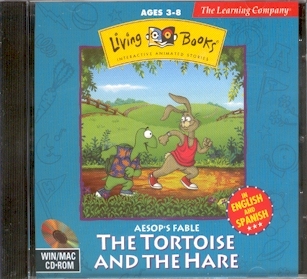 This installment in Broderbund's Living Books Series imparts an interactive twist to the Aesop's Fable comparing two distinctly different paces of life. The race between the slow-and-steady tortoise and the hurry-up hare has entertained children for countless generations. The story is brought to life with characters that talk and move and sing and dance. With sound effects, original music, humor and lots of animation, it's a whole new learning experience.